Spigen offers an expansive set of cases for the iPhone 6, there’s no arguing about that reality as a quick look on its site reveals the obvious. Out of them all, the company’s most entry-level series cases for the iPhone 6 are the ones from its Thin series. Normally, they’re minimalist cases that are meant to primarily protect against scratches, but they lack any style. 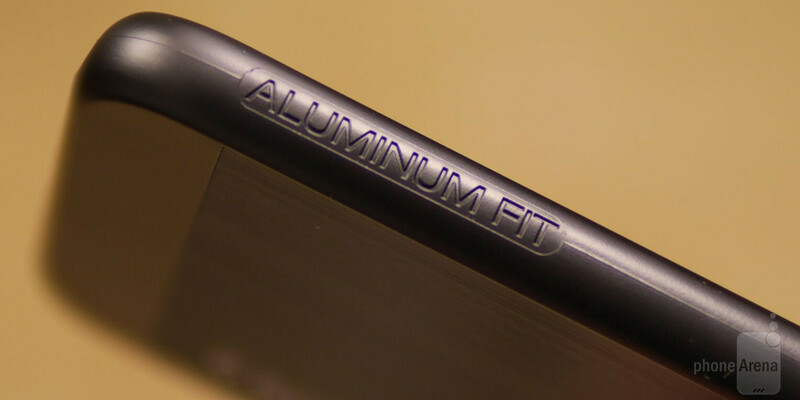 Interestingly enough, however, its new Aluminum Fit Case aims to change all that. Checking out the Spigen Aluminum Fit case for the iPhone 6, it clearly follows the same minimalist design language that the series is known for. It’s both form-fitting and svelte, offering very little added size to the iPhone 6’s incredibly skinny frame. The majority of the case is constructed from polycarbonate, but the rear features a slick looking brushed anodized aluminum plating – giving this otherwise bland case some style. Beyond that, the Spigen Aluminum Fit case is similar to its other line of Fit cases. Cutouts offer us easy access to the handset’s various ports and buttons – including the headphone jack thanks to the wide cutout for it. Yet again, it’s the kind of thing that protects against scratches, as well as normal wear and tear, but it’s not meant to really safeguard it from drops. Sure, minor bumps won’t do too much to the case, but don’t expect good results with serious drops. Over on Spigen’s website, the Aluminum Fit case sells for $29.99, which is a significant increase over the $14.99 cost of its usual Thin Fit cases. That’s mighty costly considering that the only major difference here is the brushed aluminum plating around the back, which of course gives it a subtle premium quality, but we don’t feel that it’s enough to warrant the excessively higher price point. Then again, it can be fetched for as low as $15.22 through Amazon – a price point we don’t feel to be bad at all. "Cons: Minimal drop protection." So basically, still a useless expensive case. Slippery iPhones with small batteries are designed for accessory and extension battery manufacturers, not for the consumer's convenience. Great marketing plan Tim Cook, such innovation lol! To be fair, if you could say stuff about your product and people would buy it even more so because you used fancy words? wouldn't you keep doing it?